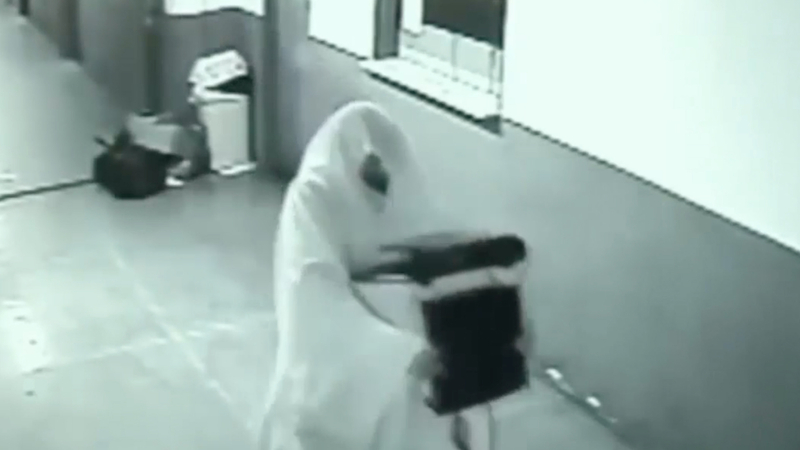 Robbers in the movies tend to go for masks, or even womens’ stockings to disguise themselves, but two thieves thought they’d mix things up during a recent theft caught on CCTV. 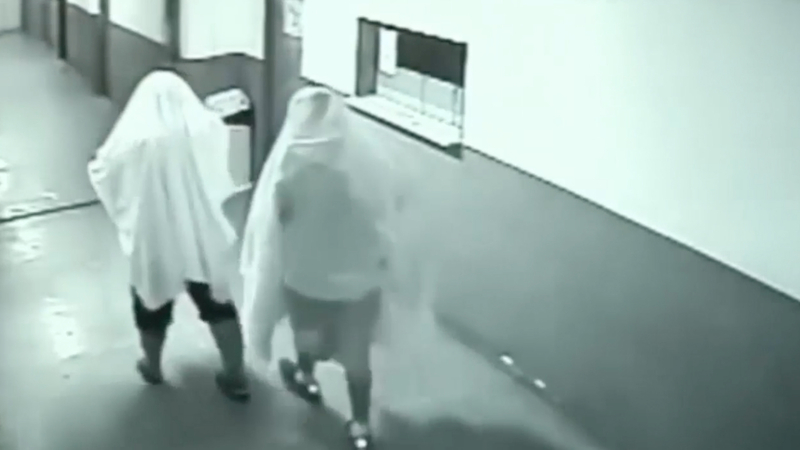 Two ‘ghosts’ were caught committing a crime recently, after two hapless burglars decided to protect their identity by dressing up in big while sheets during a robbery. The footage shows the men walking up and down a corridor before entering another room off-camera. They return carrying electrical goods, and all the while their faces are obscured by the rudimentary outfits. The footage, which is believed to have been filmed in Brazil, was uploaded to video sharing site LiveLeak.com, and very little is known about the ghoulish robbers, or where the crime took place. Forget the police, we’re calling Ghostbusters for this one.